Iranian Foreign Minister Mohammad Javad Zarif says the United States had the opportunity to prove its trustworthiness in the course of nuclear talks and the JCPOA implementation, but it failed to win the Islamic Republic’s trust. “Many in the world, just like the new US administration, believe Iran gained more from the nuclear deal with world powers, but few in the world would claim Iran has incurred losses by signing this deal,” Zarif said in a Farsi interview with ISNA. However, he added, this does not mean the Americans have kept to their promises. “In fact, they missed a golden opportunity, because the Leader of [Iran’s] Islamic Revolution had noted the nuclear deal and talks are a litmus test for Americans. 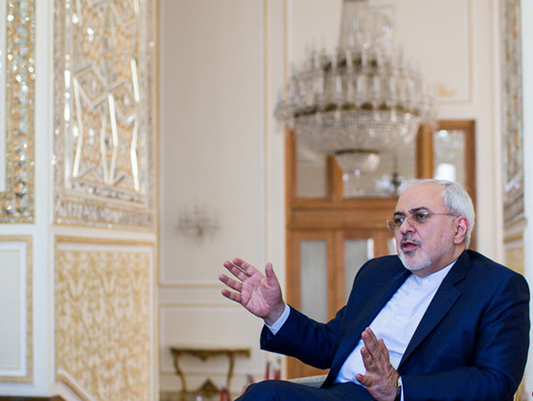 If they pass, it is possible to extend it [the negotiation] to other fields,” Zarif added. He further noted that the opponents of JCPOA who think they can turn the deal into the government’s Achilles heel are mistaken. The nuclear deal is an agreement endorsed by the Islamic Establishment and “all countries in the world believe that it was a wise decision,” Zarif said.